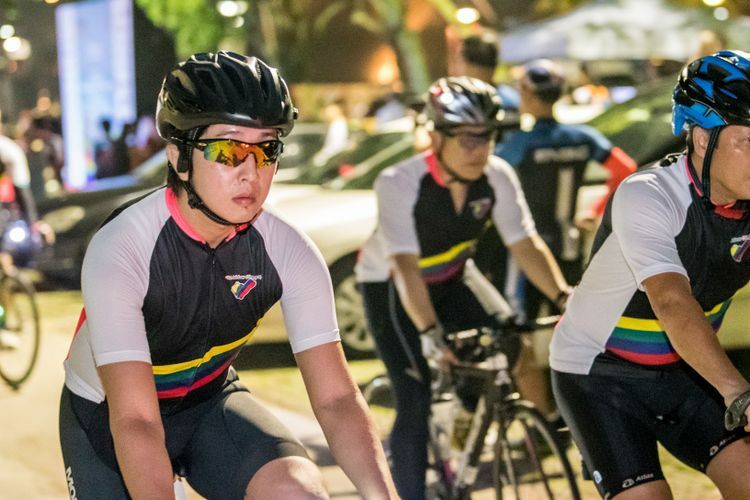 Ride for Rainbow is a flagship fundraising initiative by Club Rainbow (Singapore). First unveiled in 2012, it is a non-competitive cycling challenge that aims to raise funds for the non-profit charity organisation. This year, individual participants can choose from two categories; Rolling 15 (60km), Roaring 25 (107km), and companies can take up the Corporate Challenge; with the option of either 60km or 107km, for up to 4 participants per group. To qualify for participation, individual riders and groups must raise the minimum donation amounts for each category: $700, $1,200 and $10,000 for the Rolling 15 (60km), Roaring 25 (107km) and Corporate challenges respectively. Members of public can log on to the Ride for Rainbows website to support the riders through pledging donations online. Businesses and corporations are also welcomed to make cash donations or in-kind sponsorships.